In the list below we have identified every released LSAT from the modern era (June 1991 to the present) and listed the LSAC publication identifier. Released LSATs are tests created by LSAC, the producers of the LSAT. Some tests appear in multiple publications, but not all tests are available for purchase at this time. In our LSAT preparation courses we use real LSAT questions, and we strongly recommend that you choose a method of preparation that includes completing as many released LSATs as possible. *Publication source does not include individual LSATs, which can be purchased from LSAC. *Publication source does not include individual LSATs, which can be purchased from Law Services. The December 1992 LSAT was released out of order as PrepTest 18. The December 1993 LSAT was nondisclosed. It was later administered as the September 1995 LSAT and then released as PrepTest 16. Since 1996, the February LSATs have been nondisclosed. In April 2000, the February 1997 LSAT was released as the Official LSAT PrepTest with Explanations, Volume One. 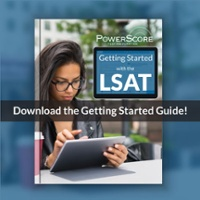 In May 2004, the February 1996, February 1999, and February 2000 LSATs were released in The Official LSAT SuperPrep. Currently, the February LSATs from 1998 and 2001-2018 are unreleased. In June 2015, a previously unreleased LSAT—Form 96—was released in the SuperPrep II, as Test C.
The July 2018 LSAT is also unreleased.